Since Texas Motor Speedway was repaved prior to last year, races there have been rather tepid. 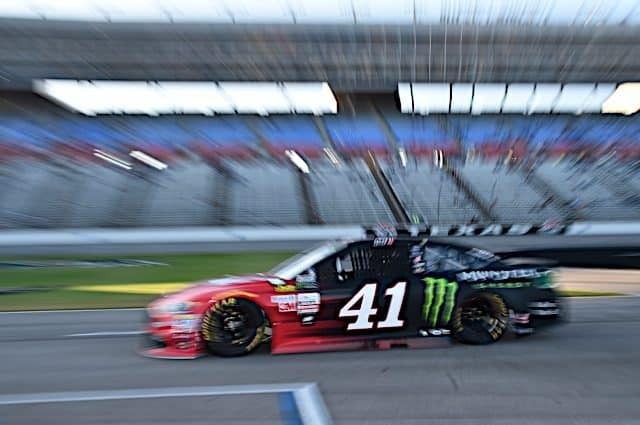 Sunday’s (Nov. 4) AAA Texas 500 was the third Monster Energy NASCAR Cup Series race out of four to have exactly 16 lead changes. That total’s already low but a lot of those 16 changes also came by way of green flag pit stops. It seemed a lot closer to half that. But before we get into the NASCAR weekend, there’s some breaking racing TV news. 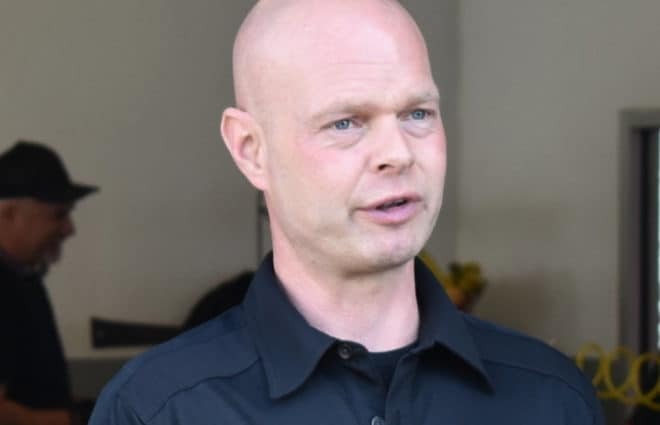 The Indianapolis Star reported this week NBC Sports INDYCAR analyst Paul Tracy is being investigated for a racist Facebook comment sent last week to an acquaintance. 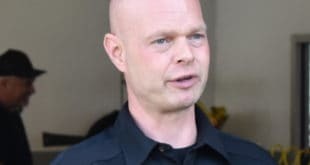 For his part, Tracy claims to NBC Sports investigators that he is a victim of fake social media accounts. If true, it is not the first time Tracy has created trouble for himself on social media. 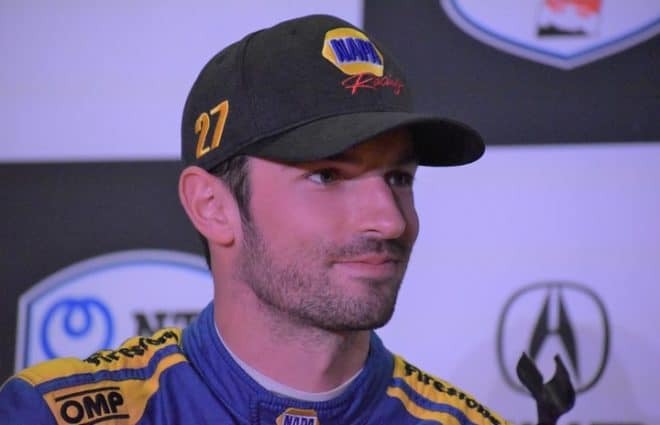 Earlier this year, Tracy posted incorrect updates on the condition of Robert Wickens on his Twitter page without the permission of Wickens’ family or Schmidt Peterson Motorsports. It’s an inappropriate move that technically could violate HIPAA regulations surrounding patient privacy. Take it from someone who worked in a hospital for 14 years; that stuff is taken seriously, so don’t be a moron. As of now, there is no update as to Tracy’s status with NBC Sports for the 2019 season. On a much happier note, NBC Sports has also launched a new series of NASCAR interviews entitled Coffee with Kyle, in which Kyle Petty interviews various racing personalities. The first interview is with Tony Stewart and is live now at NBCSports.com. Let’s move on to a packed weekend of NASCAR action, and coverage, down in the Lone Star State. Sunday afternoon brought the Cup Series back to Texas for 500 miles of competition. Given what the first two races of the weekend were like, a number of fans feared that the race was going to be a wreckfest. As it turned out, the race had more cautions (eight) than I predicted (six) but any crashes were rather mundane. The yellow flag total equaled what we’ve seen during each of the last four Cup races at TMS. There were a couple of big stories that came out of Sunday’s race, including that NASCAR screwed up and put Jimmie Johnson to the rear when he shouldn’t have been. 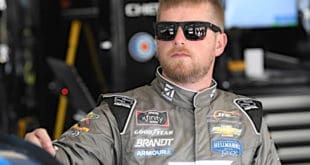 Monday’s NASCAR America posted Dustin Long’s tweets which indicated Johnson was good to go after passing the third attempt. Later on, it sent him to the rear. On lap 131 of the race, NBCSN reported the penalty was unfounded and should not have been applied. Naturally, Johnson was quite displeased over this whole affair. NASCAR rarely admits mistakes — but mistakes like this are very rare. Had he not been sent to the back, perhaps he never would have half-spun and been hit by William Byron. Steve O’Donnell claimed after the race that the first thing he could do is apologize and then make changes going forward. What the heck can NASCAR do to make this right? 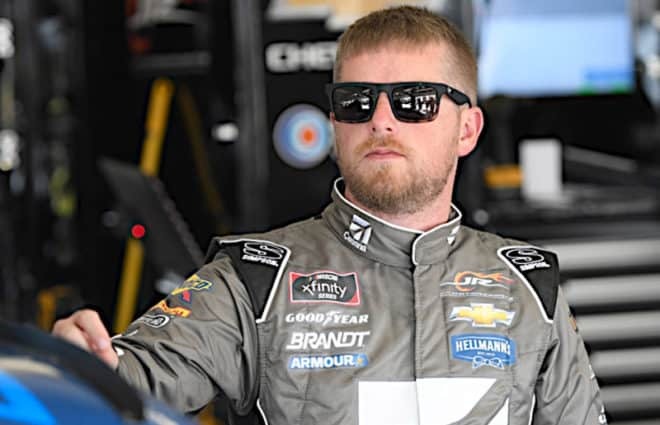 It isn’t like when NASCAR erroneously black-flagged Dale Earnhardt in the 1995 AC-Delco 400 for missing a lug nut that was in fact there, or like when Brian Scott was a victim of the same issue at Charlotte Motor Speedway in 2010. You can’t just throw a caution and make it right. Given the lunacy of this situation, NBCSN did well in covering the story, no matter how ridiculous it was. Hopefully it never happens again. Another story was Joey Logano making enemies. Last week, he gave Martin Truex Jr. the horns. This week, he got Aric Almirola loose just after a restart. My issue here is that NBCSN tried to equate the two issues. Yes, Almirola’s quite displeased over the situation, but the two circumstances aren’t remotely similar. What happened to Almirola happened something like four or five other times during the race. It’s an element of the current track more than anything. NBCSN had Dale Earnhardt Jr. spend Saturday in the garage as a roving reporter. He seemed to have way more first-hand knowledge than normal that really benefited the broadcast as a result; I was happy to have that available to viewers. Naturally, the playoffs were the primary story of the day. Going into the race, Kevin Harvick was considered to be the odds-on favorite, and he did nothing to dispel that notion. With Harvick leading 177 laps, there wasn’t all that much action at the front of the field (remember, only a quarter of the lead changes were on-track under green outside of pit stop sequences). That said, there was some action to be had on Sunday, but due to the current track, it was not long-lasting — though NBCSN showed as much of it as it could. The playoff focus was fairly high Sunday, but you had a circumstance in which non-playoff contenders were crashing that show. 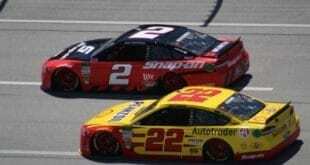 Having drivers such as Team Penske teammates Ryan Blaney and Brad Keselowski up there in the hunt made the broadcast in general better because their performance meant that they could not be ignored. That said, Kyle Larson finished in the top five on Sunday and you barely heard anything about him. All of a sudden, he popped up in third late in the race. Viewers watching the race must have been thinking, “Gee, where did Larson come from?” The scoring bar/pylon can only help so much. 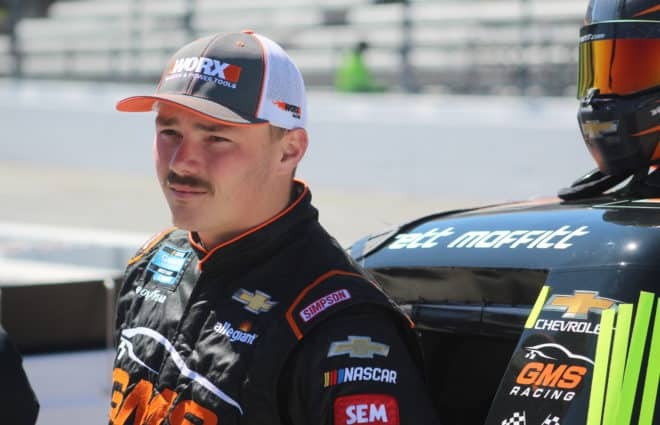 During pre-race, there was a nice piece on Christopher Bell returning to I-44 Riverside Speedway, the small dirt track where he got his start near Oklahoma City. We learned about Bell discovering racing there and being an inquisitive young man, as well as about how the place was all but destroyed by the infamous EF-5 tornado that destroyed Moore, Okla., in 2013 (the track is a couple of miles west of Moore). In NASCAR, not all drivers come from a background like Bell’s. However, it is important to take a look at those types of places. NBCSN has done a good job exposing fans to those places through shows such as the six episodes of Racing Roots. There are plenty of other venues that have had NASCAR racers compete there as regulars. For instance, Lebanon Valley Speedway, where I am the press officer, lists part-time Camping World Truck Series racer Tyler Dippel as a past track champion in the then-Budget Sportsman class and the youngest driver to ever win a Big Block Modified feature. Post-race coverage was pretty substantial. With Parker Kligerman being in the race (he joined post-race coverage partway through) and normal host Carolyn Manno competing in the New York City Marathon Sunday, that meant that viewers got the better part of 90 minutes of post-race coverage. In that time, we saw the popular fan selfie, a bunch of interviews and points discussion. Sunday’s race was not the most exciting event out there. Repaved tracks take a while to get going. With the improvements in paving technology over the past 20 years, that time is much longer than it used to be. Charlotte, for example, is still considered ultra-grippy despite the pavement being 12 years old and full of cracks. It’s not like Texas could have fixed things without repaving. 2016’s nightmare scenario of endless drying cycles and the INDYCAR race getting pushed to August is why the place got repaved. That said, NBCSN has to do the best with what it has. It showed as much action as they could, but the field would string out often. Then, it had to fall back on the information it had, which was pretty good. My main gripe was with the vibration/loose wheel issue. It was noted that the tire was the same one used at Michigan International Speedway that was prone to slight vibrations, but we never really saw what the end result of these vibrations (other than unscheduled stops) would look like. Kyle Busch, Truex and others were hurt by these stops. Was it simply a loose wheel, or was it something else? I don’t know. But NBCSN did do a decent job showing just what was ailing Clint Bowyer’s car after his first stop. The team couldn’t repair the damage during his first stop, and as a result, the fender was rubbing the tire hard. This wasn’t one of those situations where the fender could clearance itself; it was bad, and Bowyer was lucky that the competition caution was in play. Otherwise, his day would have been far more miserable than it was. Pre-race started out with a Skeeter Valentine moment as a technical issue resulted in Kyle Petty turning blue. Petty made light of it later on. Wrecking was the name of the game on Saturday. Bell, who started on the pole, spun out on the first lap for the second race in a row. Not really sure what happened with the second incident, Bobby Earnhardt’s spin, though. He looped it on the restart and got in the grass, which apparently resulted in grass getting on the track that caused the second caution 10 laps later. I feel a disconnect here. One, I feel like viewers should have known about that incident earlier. Two, it’s a little tough for me to believe grass like that should be responsible for a yellow anyway. Regardless, Earnhardt had a very interesting day. He won’t forget this failure, that’s for sure. NBCSN showed a replay of that failure going to a commercial. Never seen anything quite like that before. Just shows what can go down in the pits. A number of the incidents appeared to occur right in front of the camera, including the Ryan Sieg–Ryan Truex crash. Joey Gase getting taken out by leader Tyler Reddick is another example. It should be noted that the booth was convinced at first that it was simply air that spun out Gase since Reddick and Cole Custer ran him down so quickly. Sure enough, once additional replays were made available, it was proven that Reddick gave Gase a nerf in Turn 1. That was a good use of the available shots to deliver the definitive. Post-race coverage was about average. Viewers got five post-race interviews, plus a check of the points. The fact that 30 minutes of post-race coverage was actually built into the schedule helped here since the 13 yellows caused the race to go long. Saturday’s race was quite exasperating to watch, but not because of anything NBCSN did. It’s been a long time since I’ve seen wrecking like in Saturday’s race. 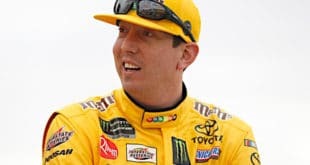 NASCAR races in general over the past three to five years have gotten cleaner, especially since the trash known as the damaged vehicle policy was instituted. Once the wrecking stopped, viewers got some good action. XFINITY Series cars, even with a downforce cut as compared to a couple of years ago, still have more downforce than Cup cars do. As a result, the race was more competitive. NBCSN did a decent job bringing that action to viewers. That’s all for this week. Next weekend is a busy one. There is another NASCAR tripleheader at the revamped ISM Raceway. The new setup is going to take some getting used to. Expect some new camera angles to be used. The only thing I’m sure of is that everyone will love the new broadcast booth and race control setup. The previous tower had apparently been considered obsolete for most of the last 20 years, despite only being 30 years old. It was demolished back on May 31. In addition to NASCAR action, Formula 1 returns to Interlagos in Brazil for the 29th straight year. With the small time difference, the undulating Autodromo Carlos Pace will put on a good show with plenty of time for you to switch over to NBC for the Cup race. In addition, IMSA is holding its encore weekend at Sebring International Raceway. TV listings can be found in the television tab. I will provide critiques of all three races for next week’s edition of Couch Potato Tuesday here at Frontstretch. For this week’s edition of Critic’s Annex, we’ll cover Friday night’s JAG Metals 350k. If you have a gripe with me, or just want to say something about my critique, feel free to post in the comments below. Even though I can’t always respond, I do read your comments. Also, if you want to like me on Facebook or follow me on Twitter, please click on the appropriate icons. If you would like to contact either of NASCAR’s media partners, click on either of the links below. My understanding is marketers can put a money value on the TV exposure of car sponsors during a Nascar race (for example, using completely fictitious numbers, the 10 seconds of TV exposure for the Widgetmaker car during the race broadcast was worth $10,000 of advertising to the Widgetmaker company). If such is true, it would be nice to see a listing, after a race, of the money value provided to each car’s sponsors after a race broadcast. TV broadcasts tend to not show, or talk about, a bunch of cars during a race (even during the regular season, or in the Texas race, “Gee, where did Larson come from?”); quantifying, in money terms, (an apparent lack of) TV exposure during races might help explain why teams have a hard time securing sponsors (not that such a listing would influence anything at Fox or NBC, as those broadcasters have their own problems trying to generate their own viewers, to satisfy their TV broadcast sponsors) (I assume Nascar marketers keep such a listing, and selectively use portions of it when courting new candidates for one of their “Official Sponsor of Nascar” companies). Speaking of car sponsorships, the recent announcement of Lowe’s closing several stores, along with the head of Lowe’s retiring (which occurred months ago, shortly after Lowe’s announced it was dropping the #48 sponsorship), might indicate problems within Lowe’s totally independent of Nascar – a lot of teeth gnashing articles seem to blame Nascar for Lowe’s dropping its #48 sponsorship, but the moving in a different direction (which in this case apparently means, among other things, money woes relating to sales and to stock pricing) of Lowe’s seem totally unrelated to Nascar. (In the absence of anything else, and to followup on the previous post, maybe one should blame Logano for Lowe’s leaving the 48). Can’t keep up with Home Depot, I guess. When I go into Lowe’s for stuff on sale it is nowhere near as busy as HD. It is just the opposite where I live. There is a Lowe’s and a Home Depot no more than a few hundred yards apart. I go to Lowe’s and there always seems to be people there shopping. Whenever I go to Home Depot most times there are few people there and it’s even sometimes hard to find a salesperson. Gotta chime in here. Logano DID NOT GET ARIC loose. ARIC GOT ARIC LOOSE! And was complaining on the car radio that Joey already had a win, blah, blah, blah. REALLY???????? Joey was running his race without a thought to ARIC and passed him, with plenty of room. Aric lost control and hit him in his left rear. As Aric done countless times before demonstrating poor car control. Every person on the post race shows had zero sympathy for his whining and were rather pizzed off. I found that refreshing. IMO. A non issue that is starting to pizz people off as Logano is a scape goat. Somebody eats some bad seafood an hour before the race, somebody’s Aunt can’t make it to the race to see their baby in the CUP series, Joeys fault! Somebody hits the wall while Logano is on pit road, JOEY DID IT! Joey races me, Joey bad. I lost…JOEY DID IT, etc. Getting really whiny out there and stupid! So much attention to a non event because somebody lies or goes overboard in the histrionics department with threats etc. Plenty of other TRUE stories to garner one’s attention. Please watch the replay.